For many years, Josephine Bakhita was a slave but her spirit was always free and eventually that spirit prevailed. Born in Olgossa in the Darfur region of southern Sudan, Josephine was kidnapped at the age of 7, sold into slavery and given the name Bakhita, which means fortunate. She was resold several times, finally in 1883 to Callisto Legnani, Italian consul in Khartoum, Sudan. Two years later, he took Josephine to Italy and gave her to his friend Augusto Michieli. Bakhita became babysitter to Mimmina Michieli, whom she accompanied to Venice's Institute of the Catechumens, run by the Canossian Sisters. While Mimmina was being instructed, Josephine felt drawn to the Catholic Church. She was baptized and confirmed in 1890, taking the name Josephine. When the Michielis returned from Africa and wanted to take Mimmina and Josephine back with them, the future saint refused to go. During the ensuing court case, the Canossian Sisters and the patriarch of Venice intervened on Josephineâ€™s behalf. The judge concluded that since slavery was illegal in Italy, she had actually been free since 1885. Josephine entered the Institute of St. Magdalene of Canossa in 1893 and made her profession three years later. In 1902, she was transferred to the city of Schio (northeast of Verona), where she assisted her religious community through cooking, sewing, embroidery, and welcoming visitors at the door. She soon became well loved by the children attending the sistersâ€™ school and the local citizens. She once said, "Be good, love the Lord, pray for those who do not know Him. What a great grace it is to know God!" The first steps toward her beatification began in 1959. 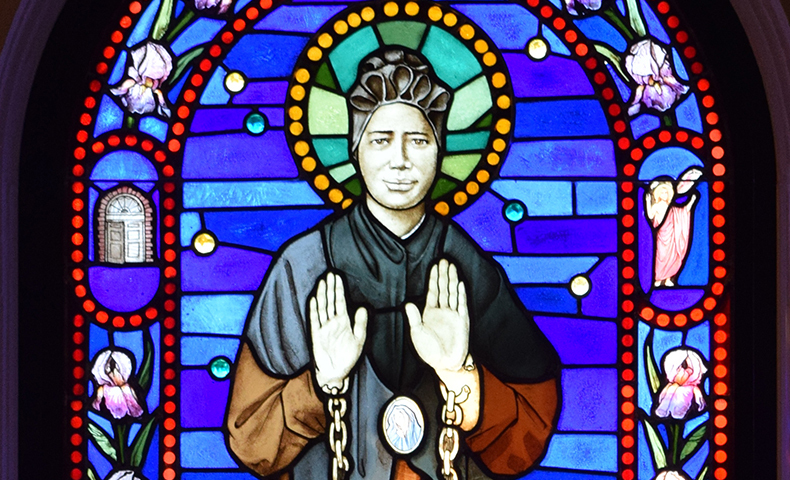 She was beatified in 1992 and canonized eight years later. Josephine's body was mutilated by those who enslaved her, but they could not touch her spirit. Her Baptism set her on an eventual path toward asserting her civic freedom and then service to God's people as a Canossian Sister. She who worked under many "masters" was finally happy to address God as "master" and carry out everything that she believed to be God's will for her.